Fluoride dental treatments explained by our dentists at Ballarat Dental Care: Fluoride dental treatment with dentist Ballarat is also very central in any professional dentist recommendation to help maintain or improve patient’s dental health. Dental fluoride is the most effective agent used by the dentists to help with tooth decay. Dental fluoride is part of our everyday living, but sometimes not concentrated enough to prevent tooth decay in susceptible people. GC Tooth Mousse contains calcium and phosphate taken from cow’s milk. 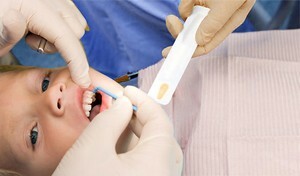 GC Tooth Mousse can be used in children under 6 and in patients where additional dental fluoride exposure is desired.